Seven apprentices and two instructors from The Apprenticeshop, a school for traditional boatbuilding and seamanship in Rockland, Maine, set out Sunday in a 30-foot open whaleboat on a voyage of 310 miles to the Mystic Seaport Museum in Connecticut. The first port of call was planned for today in Portland, Maine. The whaleboat is expected to arrive June 21 in Rockport, Mass., and then travel through the Cape Cod Canal on June 23. The boat is scheduled to arrive June 25 in New Bedford, Mass., then go on to Newport, R.I., and conclude its voyage June 28 at Mystic Seaport, arriving in time for the WoodenBoat Show. Accompanying the whaleboat is a chase boat, a 36-foot Bud McIntosh schooner, Advent, that is owned and captained by Anna Rich and her father, Ken Rich, of Rockland. Last August, five students enrolled in The Apprenticeshop began a nine-month effort to build a replica of a 29-foot, 10-1/2-inch New Bedford whaleboat designed by Ebenezer Leonard from plans that were dated 1935. The whaleboat was one of seven ordered from boatbuilding organizations by the Mystic Seaport Museum to complement the Charles W. Morgan, the last remaining whale ship, which has been undergoing an extensive restoration. The Apprenticeshop’s whaleboat was completed in early May, including a full set of oars, and the student body actively trained in the boat, rowing during early mornings before classes and on weekends. 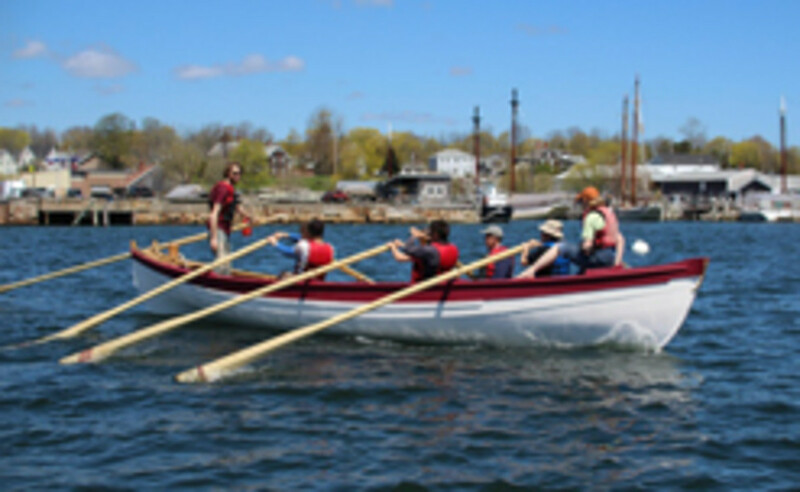 The whaleboat will be on display June 28-30 at the WoodenBoat Show and The Apprenticeshop will have a booth at the show.